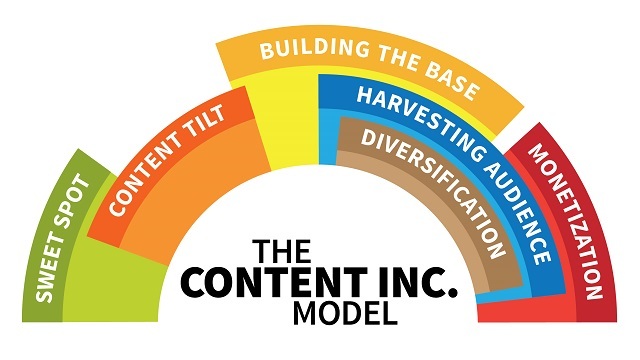 In his book Content Inc, Joe Pulizzi describes a visionary approach to making a business, one that’s becoming increasingly influential as KOL bloggers establish their own multi-million dollar companies. It entails building a marketing channel before selling products. This flips conventional business strategy on its head. The channel-first blueprint is extremely valuable right now because social networks have made it easier than ever to develop relationships with potential consumers to understand their needs before a product is sold. The concept is simple: A brand or individual creates great content for a niche audience. That content and audience areyour bedrock. Direct monetization is the garnish on top — it can be experimented with and changed, while the connection to your core community remains. But making great content takes legwork, persistence, and social savvy. They’re influential because they’ve already honed and popularized their content. Read this article the find out how to build a business like KOL. If you’ve got the gist of what being an influencer means, you’re ready to see how three of China’s most successful KOL bloggers monetized their marketing channels to build their own brands. If you’re not using KOLs in your marketing strategy, prepare to see your business replaced by one they’ll build themselves. Take a look at how three of China’s most successful KOL bloggers monetized their marketing channels to build their own brands. Zhang was born in Shanghai in 1988. She began her modeling career for Japanese style magazines like Rayli, ViVi, and Mina. After modeling for decades, she started her own business and launched a Taobao shop in 2014. Zhang is considered the most business-savvy Wang Hong in China. The year she started working online, she published her first short clip. She became the first Wang Hong to use videos to introduce her products. During the 2015 Double-11 Festival, Zhang’s store ranked first on T-Mall for sales across all categories. By the one-year mark, her shop already had 4.3M fans. 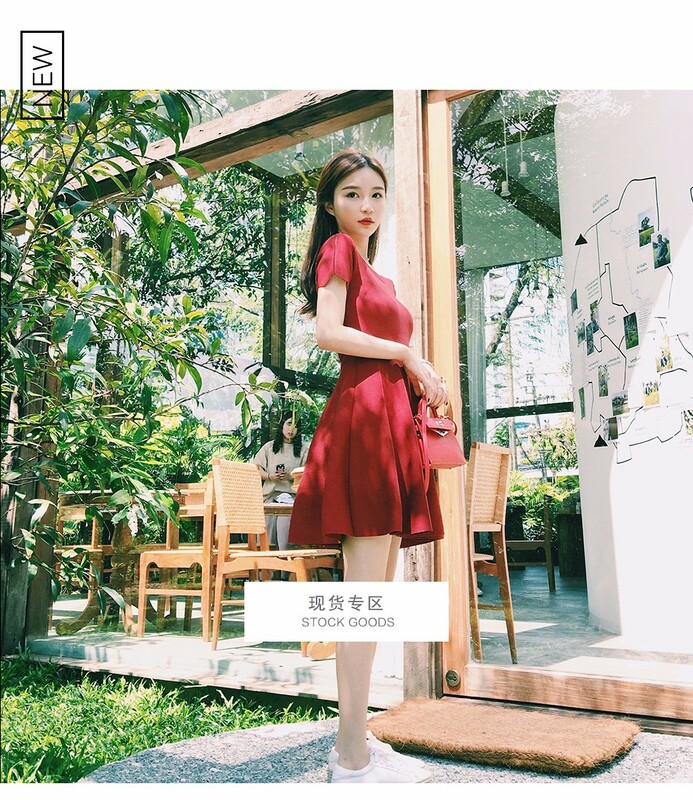 In November 2015, it clocked annual sales of over 1,000,000RMB. And as her Weibo fanbase grew from 2014 to 2016, brands like Victoria’s Secret consistently invited her to in-person events. The hard work paid off in 2016 when Taobao invited her to do a 4-hour live stream from 18pm to 22pm, the site’s prime time. 410,000 people watched her show, giving her more than 1,000,000 likes. During the live-stream, she ate, talked with fans, and gave a tour of her factory and warehouse. After the live-stream, her shop sold 20,000,000RMB of merchandise in two hours, breaking Taobao’s record. Recently, she launched the Zhang Da Yi X Mei Pai M6 Selfie Phone Limited Edition. All 2000 phones in stock sold out in just one second. Cheri is the ex-girlfriend of Wang Si Cong, the only son of Chinese tycoon Wang Jianlin of Wanda Group. Leveraging her fame, Cherie opened her first Taobao shop with her classmates when she was still a college student. Her shop, chinstudio, had the highest ranking on Taobao and launched her into Wang Hong stardom. L’Oreal recently invited her for a live event and she had her red carpet debut in France at the Cannes Festival. Wu was still a student when he opened his second-hand clothing e-shop in 2010 and is also a model. He ranked No. 17 on the Chinese Wong Hong Top 100 Countdown 2016. In July 2013, he founded his skincare and beauty brand Pure Factor, which got to No. 3 in Taobao’s beauty category in less than one year. Pure Factor’s niche is natural ingredients products, and the company has raked in over 100,000,000RMB in sales within two years. Wu expanded into the publishing industry in 2015. His first book, a memoir entitled “This World Needs You,” tells 14 personal stories about love, family, dreams, and friendship. In pre-sale, the book ranked No.1 on all e-commerce platforms and sold 300K within 3 months of release. 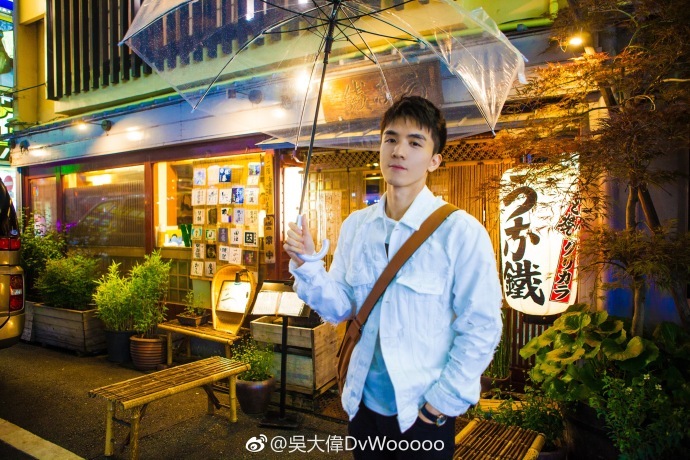 In 2016, Wu directed a TV series called Graduation where he plays David, a character with similar experiences as himself.